Artwork by John Howe. 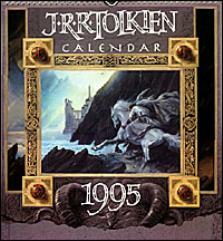 This calendar includes images from a great variety of sources. The best images are The Fall of Gondolin and Ulmo, Lord of Waters.